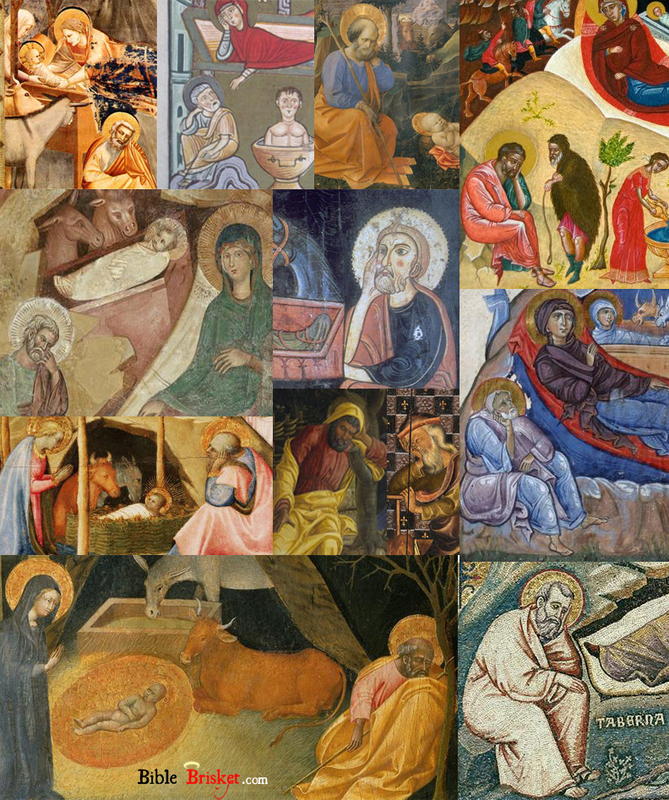 In celebration of Father’s Day I thought I’d share an interesting motif I noticed in Christian art throughout the centuries: step-dad Joseph’s gloomy emotion during the nativity. I learned that this is especially common in works of the Eastern Orthodox tradition which in-bedded the folk tradition that Joseph continued to have doubts regarding Mary’s virginity. Some artists believed that this is because Satan approached Joseph in disguise in an attempt to persuade him into doubt, as seen in the painting at the top right of my collage below where Satan comes resembling an old man. More than anything I love how consistent the portrayal of Joseph is, his head resting on his hand in exhaustive despair.